Tom Kettle, Nationalist MP and poet born Artane, Dublin is commemorated on the Parliamentary War Memorial in Westminster Hall. He left us the lines, “…Died not for flag, nor King, nor Emperor But for a dream, born in a herdsman’s shed And for the secret scripture of the poor”. From, To My Daughter Betty, The Gift of God. 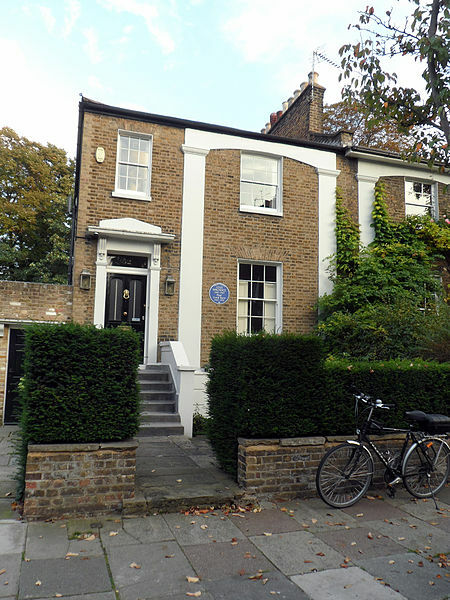 Louis MACNEICE , poet (born Belfast 1907 died 1963) lived at 52 Canonbury Park South, Islington, N1 from 1947 to 1952. Perhaps a good time of year for his poem ‘Snow’ follow the link below to read it and hear it read aloud it only takes a minute. I hope this is the kind of site that takes you on paths less well trodden. Photo of house by Spudgun67 on Wikimedia Commons, map from Google.